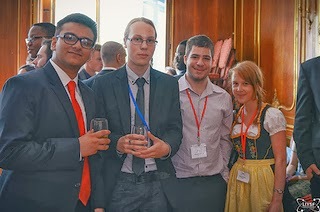 The London International Youth Science Forum (LIYSF) is an amazing way to promote collaboration among the scientists and engineers of the new generation. Scientific collaboration is essential for solving the problems of today’s world, as it offers us a way to effectively generate workable approaches which are of global significance. 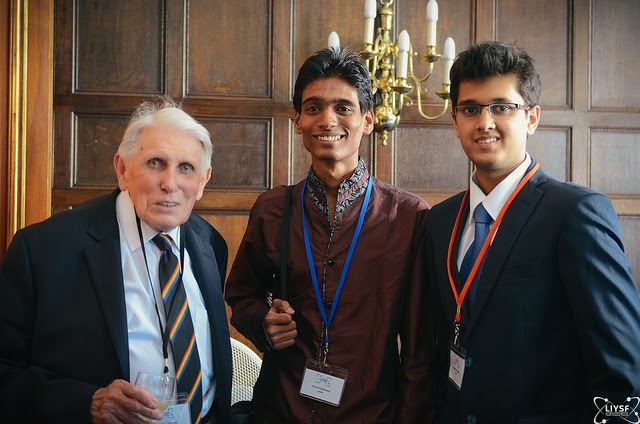 We hear from Mitansh Tripathi from the LIYSF 2013 representing India. The 2013 Indian delegation consisted of 12 people ; 7 from Mumbai , 3 from Delhi and 2 from Indore. 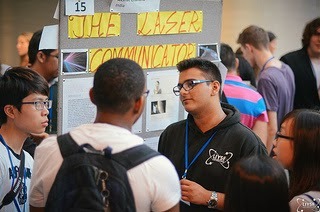 With representatives from 6 continents, LIYSF provided the perfect environment for cultural exchange. Our first day was spent in bonding and interacting with people from 57 other countries. We were given a warm welcome by our student staff and student counsellors. There was a student mixer in each hall namely Beit and Southside. The beginning to a memorable fortnight had just begun. The opening ceremony; an interesting lecture from Sir Chris Llewellyn Smith on crossing science boundaries was our first introduction to the theme of multidisciplinary science. We were told about 3 boundaries: Intellectual ,Technical and Political which can be easily crossed with collaboration of ideas. The idea that new forms of energy is a must as fossil fuels are depleting was driven home. It was emphasised that nuclear energy must be used to its full potential . We were divided into groups and I had the opportunity of visiting the mechanical engineering lab at Imperial College where we were told about the importance of how the efficient electric cars could have a positive impact on the world as the use of the depleting fossil fuels would reduce. We then had a lecture by Professor Nancy Papalopulu on the nervous system. As I was a non-bio student I was sceptical if I would understand anything but the lecture was presented in such a manner that I understood the importance of progenitor cells (stem cells) and how they form neurons. The lecture was exceptionally interesting for those interested in stem cell research. 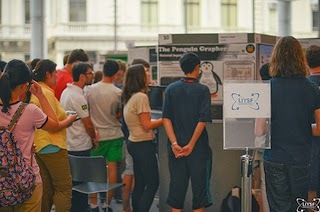 That evening we had the science bazaar which was one of the highlights of the program . Participants presented the projects on which they had worked for a long time. There were many innovative experiments, ideas, theories and application if those theories. It was a matter of great pride that 5 Indians were presenting. Of the 10 participants chosen, there was only one participant from each country but 2 from India and 2 from UK which made the fellow Indians very proud . Sir Colin Terry, a renowned engineer, gave us a very important, interesting lecture on Crossing Science Boundaries. I just want to reiterate the fact that this topic is very significant as it teaches us to collaborate our research and knowledge for the benefit of the human race. I had one of the best experiences of my life when I got the opportunity to visit the Airbus factory at Filton. I was always intrigued by planes and after this visit it was further accentuated. I saw Concorde, I saw the landing gear of the biggest plane, the Airbus A-380. 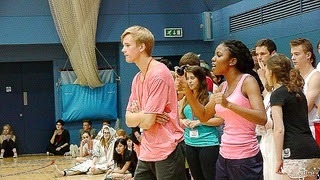 One of our most memorable experiences were the LIYSF Olympics. We were divided into two teams on the basis of our residences. They were simple activities but the high level of competitiveness made the Olympics even more exciting. My friends and I were very eager to perform at the International Cabaret where we did a dance on our patriotic song “ Bande Mataram”. It was a lovely feeling to see 350 students from 57 different countries enjoy and appreciate our performance. It was truly a wonderful experience. The only drawback of the Science Forum was that it was over too soon. The seven of us who went from The Cathedral and John Connon School, six months later, still talk about going back to the forum. This forum has had a deep impact on me and my friends. I am even more eager to pursue science and engineering. It’s showed me that through collective effort, human beings can overcome any difficulty. I also wanted to encourage more of my fellow Indians to participate. It is definitely an eye opener for Indian students. You not only learn interesting aspects of science, but also international cooperation and get a chance to showcase your culture and traditions to different people. This is a once in a lifetime opportunity. There are very simple aspects which make it a memorable experience, such as: the buddy system, optional visits and the whole atmosphere itself.